I like Bal-Mukund because we can play outside in the park and we have some days that we can celebrate like the Holi celebration. That was my favorite! Bal-Mukund has made me a better person by doing Yoga and listening to learn. I learn about India. I learn about Holi, Diwali, Republic Day and the colors of the India flag. I will get my friends to come to Bal-Mukund! My favorite activity is cross the ocean. I like Bal-Mukund because it is so fun! We celebrate; do games, puzzles and more. It made me better by learning more about India. I did not know much about Hindu celebrations before, but after going to Bal-Mukund I knew why we celebrated them and when. And also, before I went to Bal-Mukund I did not know any prayers or Hindi poems, but soon I went to Bal-Mukund, and now I do know prayers and poems. I enjoy all the celebrations and activities. There are so many things to do! Puzzles, races, games and musical chairs are some activities we do. I would recommend Bal-Mukund to all my friends. 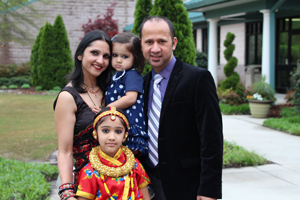 I wanted to expose my child to our Hindu culture and learn all the moral values to practice in their real life. When my child comes home with what they learn in Bal-Mukund and try to implement KRIPALU values I feel really happy about what my child has learned by attending Bal-Mukund. Particularly, the opportunity I got to spend time helping kids sing a bhajan and dance, has brought me closer to all the kids and made me know them better. I am amazed when I see how these kids learn things fast. Lucky kids as they got exposure to such great things at an early age. I would recommend Bal-Mukund to my friends and family! I was looking for a Hindi class for a long time and I’m so glad to have found Bal-Mukund. I think it is the best investment so far. My kids are speaking Hindi, writing Hindi and reciting Hindi poems. The volunteers are doing an excellent job of keeping the tradition alive in the kids. 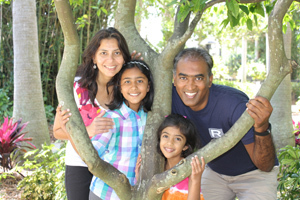 I LUV, LUV Bal-Mukund and would recommend it to any parent. 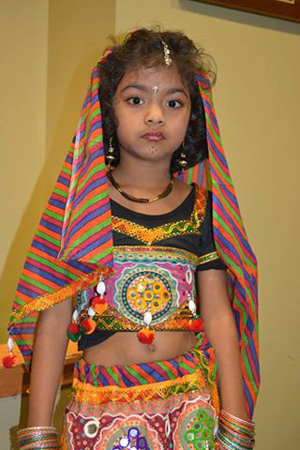 Registered in Bal-Mukund to ensure the kids get insight into our culture, learn a language. This is our 1st year and the experience has been amazing. Kids not only learn about the culture but also learn a lot about how to implement it in their day to day life. They understand the reason why things are done a certain way. Bal-Mukund also does a lot of things that make complicated topic easy to understand and fun to learn. I would recommend Bal-Mukund to anyone interested and we are very happy with it. Bal-Mukund is enjoyable to do on weekends. I have learned to respect others and have also learned a lot of Hindi!